Once again, I'm back with a review for another volume of Womanish. I am a big fan of these books and I didn't think I would be simply because I've never been a fan of books filled with short stories. However, Angelia has managed to pull me all in. I get so engaged in these Womanish books that I even get to ranting and raving about it on Facebook and Twitter. That's neither here or there. 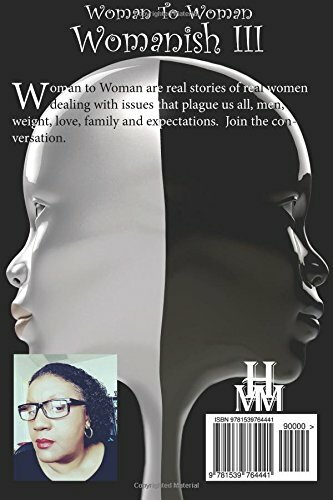 Let's get into this review for Woman to Woman: Womanish III. I must say that the first story in this book floored me. Ilisha and Abraham were something else. I admit that Abraham came off a bit brash to me at times, but Ilisha seemed to like it. However, Ilisha rubbed me the wrong way with one of the things she did. I didn't understand the method to the madness behind why she went to see that woman. Next was the story of Heidi and her husband. I just didn't like Heidi at all. She would have been okay if she didn't feel so entitled to Anthony and it seems she felt entitled to have him because she was white. Don't get me wrong, Anthony was a mamafunker, but she knew this when she married him. The reasons she gave as to why Anthony shouldn't be attracted to Black women made me side eye her so hard, my eyes got stuck. But I will applaud Anthony for being an outstanding father. One of my favorite stories was the one with Linda. I loved the way she just finally decided enough was enough and took control of her life. Women who do this tend to have me cheering them on like no other. My next favorite was the one with Cheryl. I was way too happy to read she left her ain't ish of a husband and went on about her business and her life. The rest of the stories were pretty tame in comparison to the last two books. Actually, this book was pretty subtle in the lessons Angelia tend to give in her books. The Womanish Series has become something that I look forward to reading as I can always find bits and pieces of myself in each of the women in the books. 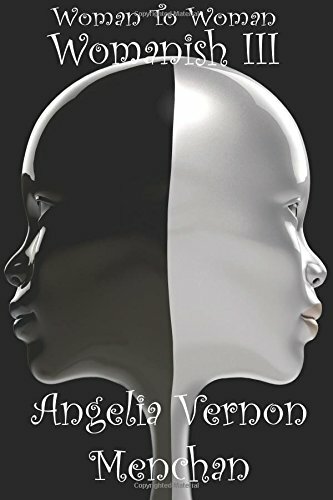 All-in-all, I give this book 4.5 pages (think 4.5 stars, I took away half a point because of the few editing issues I found. None of them take away from the story though). Nikki-Michelle approves this book.